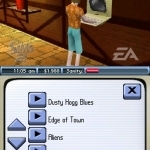 A large collection of cheats including how to max out attributes, earn easy money and sanity points and unlock clothes. There's also a Perk cheat that will come in useful. Lots of hints and tips for you to check out here including where to find parts of Roberta, getting into Dr. Dominions' secret office and getting more Simoelions. 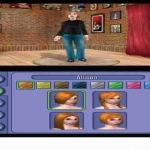 We have 830 questions and 1560 answers for The Sims 2. Check them out to find answers or ask your own to get the exact game help you need. Where I can find the secret sublevel place? Plenty of walkthroughs and FAQs to help you get the most out of this game. These include s a career analysis FAQ and a death, disasters, diseases guide. pass the teleport computer´s identi..
How do I teleport to Dr Dominion? How do I turn Annie into the nightbe..